$126.00 Ships within 24 hours. Epivir® is the registered trademark of GlaxoSmithKline Inc. Medication Information about Generic Epivir Important information about usage, risks and possible side-effects..
Possible Uses of Epivir: This medicine is a nucleoside analogue used in combination with zidovudine (Retrovir or AZT) to manage human immunodeficiency virus infection (HIV). Before using Epivir: WARNING: Lamivudine has caused severe, even fatal, liver and blood acid-base problems (lactic acidosis). Immediately notify your doctor if you develop dark urine, unusual fatigue, yellowing of the skin or eyes, rapid breathing, drowsiness, muscle aches, or stomach/abdominal pain. 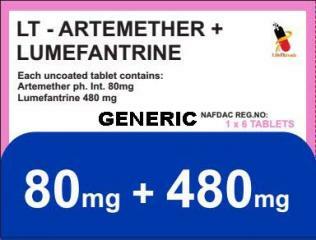 Different brands of this drug have different amounts of active drug. Do not switch brands of this medication without first checking with your doctor. If you have an HIV infection, you should be taking the higher strength dosage. Consult your doctor or pharmacist. Some medicines or medical conditions may interact with this medicine. INFORM YOUR DOCTOR OR PHARMACIST of all prescription and over-the-counter medicine that you are taking. ADDITIONAL MONITORING OF YOUR DOSE OR CONDITION may be needed if you are also taking zalcitabine. Inform your doctor of any other medical conditions or allergies. USE OF THIS MEDICINE IS NOT RECOMMENDED if you have a history of pancreatitis. Contact your doctor or pharmacist if you have any questions or concerns about taking this medicine. How to take Epivir: Follow the directions for using this medicine provided by your doctor. This medicine may be taken on an empty stomach or with food. STORE THIS MEDICINE at room temperature in a tightly-closed container, away from heat and light. CONTINUE TO TAKE THIS MEDICINE even if you feel well. Precautions When Using Epivir: DO NOT EXCEED THE RECOMMENDED DOSE of this medicine without checking with your doctor. Exceeding the recommended dose of this medicine may not provide additional benefits, and may increase the risks of side effects. KEEP ALL DOCTOR AND LABORATORY APPOINTMENTS while you are taking this medicine. DO NOT STOP TAKING THIS MEDICINE without first checking with your doctor. THIS MEDICINE WILL NOT PREVENT YOU FROM SPREADING HIV through sexual contact. If you have any questions concerning how to prevent the spreading of HIV, ask your doctor, nurse, or pharmacist. THIS MEDICINE MAY NOT PREVENT OTHER INFECTIONS. If your health changes, check with your doctor. BEFORE YOU BEGIN TAKING ANY NEW MEDICINE, either prescription or over-the-counter, check with your doctor or pharmacist. Lamivudine should be used with extreme caution in children with pancreatitis. IF YOU PLAN ON BECOMING PREGNANT, discuss with your doctor the benefits and risks of using this medicine during pregnancy. IT IS UNKNOWN IF THIS DRUG IS EXCRETED in breast milk. DO NOT BREAST-FEED while taking this medicine. Side Effects of Epivir: SIDE EFFECTS that may occur while taking this medicine include headache, nausea, difficulty sleeping, or muscle pain. If they continue or are bothersome, check with your doctor. CHECK WITH YOUR DOCTOR AS SOON AS POSSIBLE if you experience sore throat; chills; fever; diarrhea; fast, shallow breathing; severe muscle pain or cramping; stomach discomfort; feeling cold, dizzy, or lightheaded; slow or irregular heartbeat; unusual weakness or exhaustion; or unusual bleeding or bruising. If you notice other effects not listed above, contact your doctor, nurse, or pharmacist. Drug Interactions of Epivir: Drug interactions can result in unwanted side effects or prevent a medicine from doing its job.Inform your doctor about all the medicines you take with and without a prescription. Storage of Epivir: Store at room temperature away from sunlight and moisture. Keep this and all medications out of the reach of children.